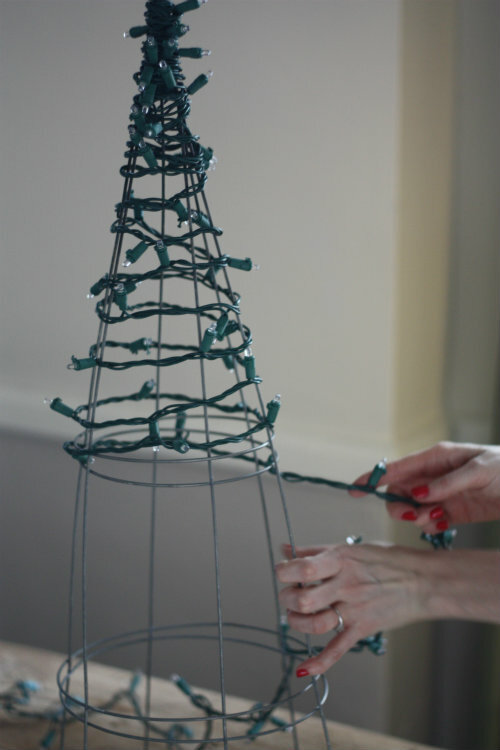 Over the weekend we tackled a fun and easy little Christmas decor operation — making lit up Christmas tree decorations from tomato cages and a string of LED lights! 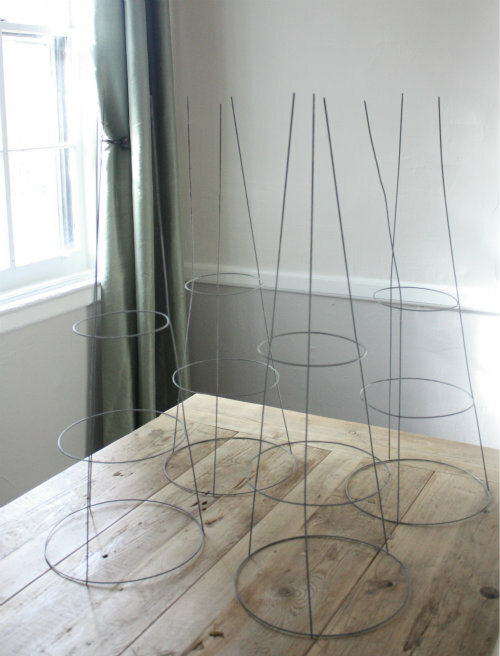 I'd seen the idea of re-using tomato cages in the winter months for holiday decor on Pinterest and kept the thought in my back pocket until now. We liked the idea of re-using something we already had around the house that would be fine out in the elements. 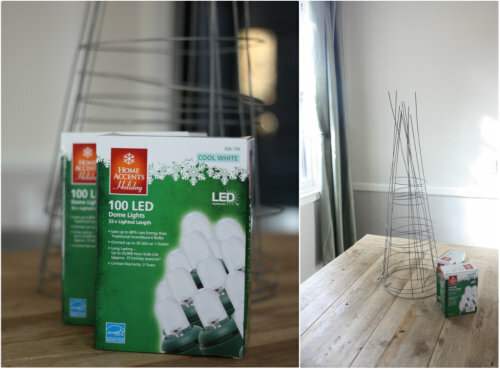 This project was really just a matter of strategically wrapping a string of Christmas lights around an upside-down tomato cage to get the look and feel of a Christmas tree, but you know us — you're getting the full breakdown below! 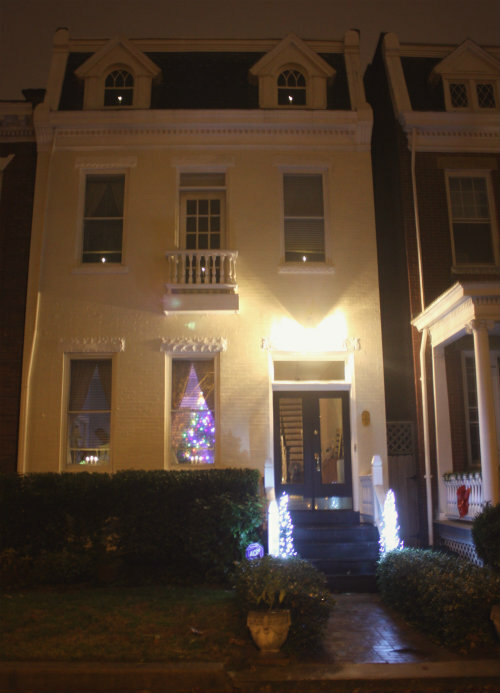 We went with dome shaped LED lights — we liked the idea that LED's would be fine outside and use barely any energy. And frankly, they are everywhere you look these for Christmas lights! The "cool white" struck our fancy, but you could go crazy with colorful lights if you like. 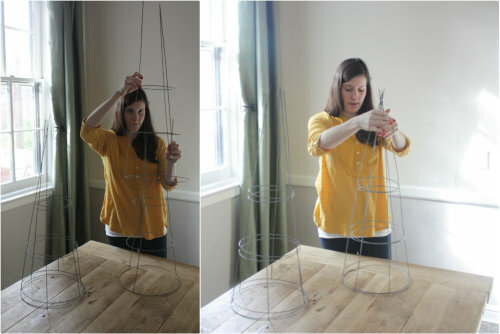 I stacked two of the same size tomato cages on top of one another to create a stronger support base for the lights — then I just twisted them a little so the vertical lines didn't match up, giving more of a circular structure for wrapping the lights around. If you have different sized tomato cages, this is the point in time where you could get really creative with the stacking — making varied heights for your trees. After stacking the cages, Tim secured a couple rubber bands at the tips of the cages (where you would normally stake them into the ground) to create that perfect tree point. Then I just kept wrapping the lights down the support, extending the cord a little bit with each turn to create a varied effect. 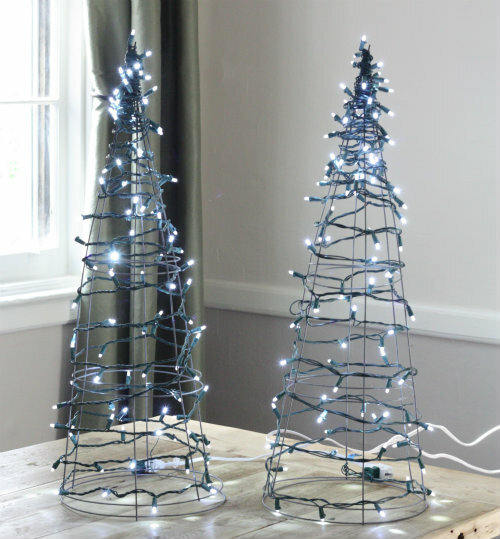 You could wrap them at full thickness all the way around or even make interesting criss-crossed patterns if you have 2 strings of lights to work with on the same cage. Not bad for a 15 minute project, eh? As for getting them outside, we just propped them atop the little wooden side tables we'd picked up at a weekend sale over the summer and Tim shimmied up under the front stairs to rig all the electrical cords — love that guy. 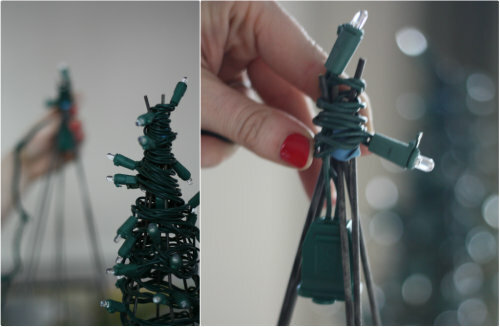 They make these string lights with battery packs now too, so you could save plugging in all together! They're a fun and subtle update for the outside of the house. Neither Tim nor I have been big "decorate the entire outside of your house with lights" people, so this was a fun in-between decoration for us. If you look closely at the photo above, you'll notice Basil looking out from the front door window. If you look even closer, you'll notice Tim poking his head out the bottom left house window. Evidently he was playing a joke on me while I grabbed these shots and we both had a good laugh when we loaded them later! 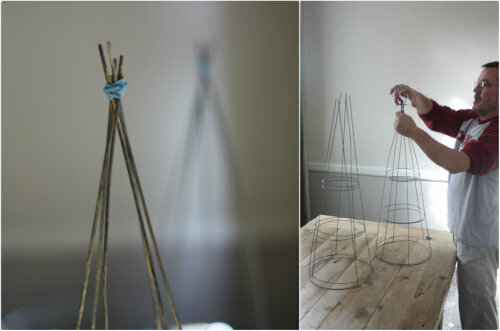 This year we just kept it really simple with this project, but since doing it I've been seeing lots of different takes you can really dress these guys up with for the holidays — things like tree trimmings, sticks, ornaments, ribbons and more. I love the versions I've seen topped on urn planters to make topiaries and have even seen them placed indoors on either side of the fireplace. I think they'd look great in multiples too — so, all of this gives us good inspiration to take this idea to the next level for holidays to come! 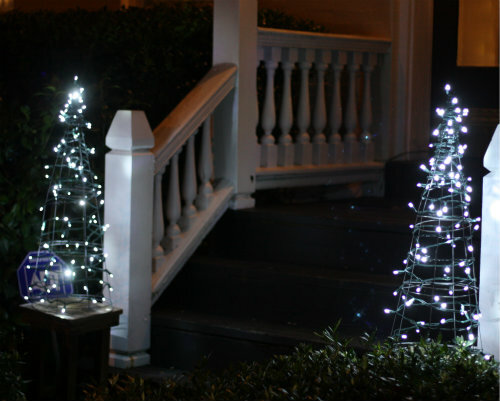 What holiday decorating projects have you been taking on this season? I LOVE these, Mary! I was trying to find something to border our walkway, without looking tacky in the daylight - this is it! Aw thanks Ashley! 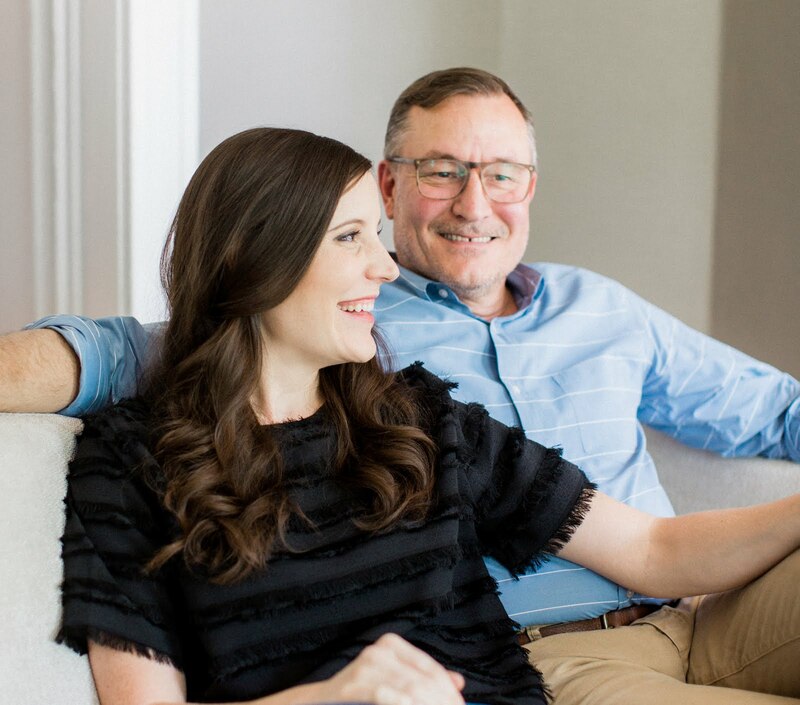 They were so ridiculously simple to make — let me know if it works out for you! Love it! My sister and her husband did this last year, and I thought it was such a neat idea! It was a lot of fun — we're hoping to do even more next year! I join the chorus of love on this. I have inverted tomato cages placed all over the yard on various plants for a variety of reasons (so they don't get mowed over, or because they need some structure but aren't quite big enough for the cage right side up). Now to figure out where to place these! I will buy some for 😏🌹Yard Christmas 🎄 trees . Nice. Hope to try this. The way you stacked the cages was very clever...I will be doing these this year. Thanks Deborah! We would love to see a picture of your work if you get around to it! Good Luck! I love these!! 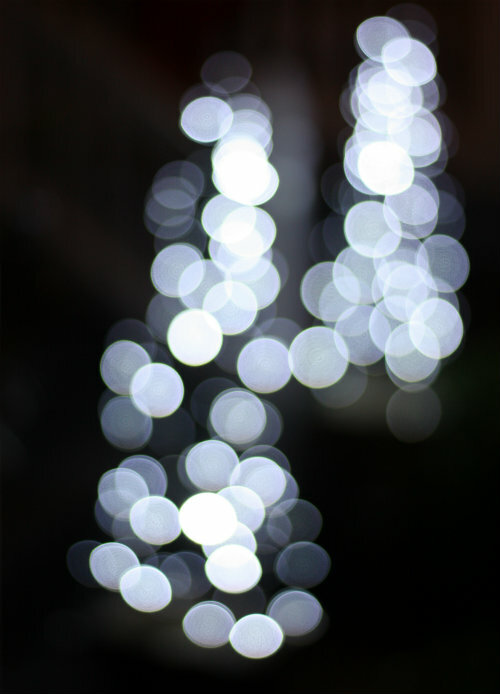 How many lights did you use? It was one string of 100 LED's per cage. 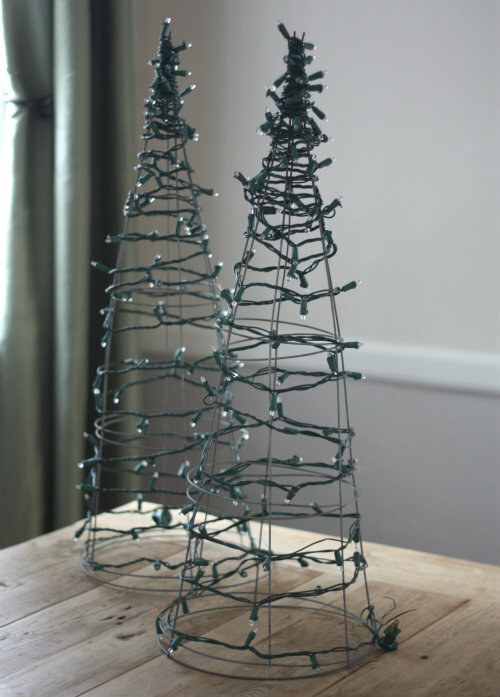 I made Christmas trees using leftover branches from the fresh tree supplier using the tomato cages. I poked them in the open spaces getting smaller toward the top. 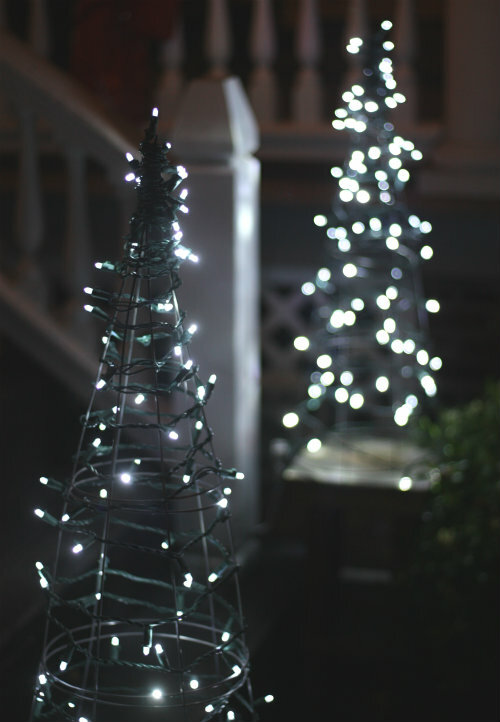 After this I placed white lights on the 10 trees and they were fabulous for a walkway at my Son's Christmas Wedding. The LED lights with outdoor/indoor battery boxes are very handy and have built in timers. I used two sets for a wreath that hangs on front windows and one set of minis on a vertical swag on the front door also with built in timer. I will try your idea using the battery concept on both sides of the front steps. Thank you for the inspiration. I am so going to do this for my white theme. Our Ace Hard Ware store had all different colors, and I am going to get the color I use with my theme, but if they don't have white I will use the colored green. I love these but it seems like they would be light and blow over. Did you have this problem? Great idea for our many tomtato cages; we will do this this coming Xmas.By the way, my wife and me are about 17 years apart. Married 13 years with 2 kids. 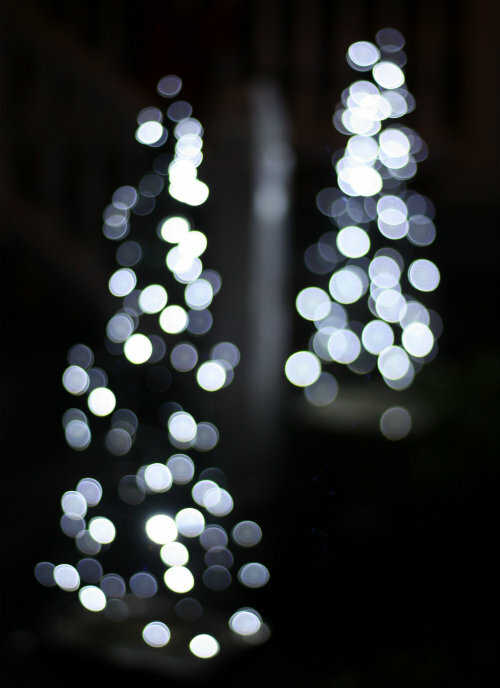 These look so easy to make, I am thinking using two 50 light strands and having one strand twinkle. LOVE ALL YOUR PICTURES! I HAVE COUPLE OF CAGES, AND I AM GONNA TRY IT! Very neat. Great easy gift ideas.